We rank on the top in by offering best quality of Chain Pulley Block, which is known for its remarkable finish and quality. 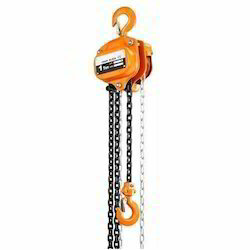 Our company is a prominent provider of high grade Chain Pulley Blocks. 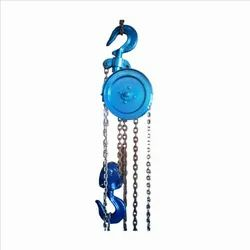 Our company uses advanced raw material and precise engineering components in making Chain Pulley Blocks. These are known for their smooth operation and capacity to handle heavy loads easily. These are compact in nature and require very less maintenance. We make use of highly advanced machinery for fabricating a world-class range of Chain pulley Blocks and Spares. Provided with surface hardened gears, these blocks are characterized by light weight, long service life and user-friendly operations. Extensively used in needle roller bearings, these highly efficient hoists experience a high demand in domestic markets.